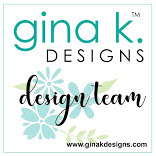 Hi everyone and Welcome to Gina K. Designs Blog Hop Day 1. We are so glad you have joined us for the New Release! So Many New and Fabulous Items to share! Today we are featuring Two New Stamp Sets. Crafty Notes by: Gina K. and Cake Toppers by: Emily Loggans. These sets are Fabulous and Fun to create with! ❤ Check out these two sets. Before I share my cards, remember to share the love and comment on all the blogs for your chance to Win a $50.00 Gift Certificate from Gina K. Designs. The Winner will be announced on Friday March 1st. on Gina K. Designs Blog. 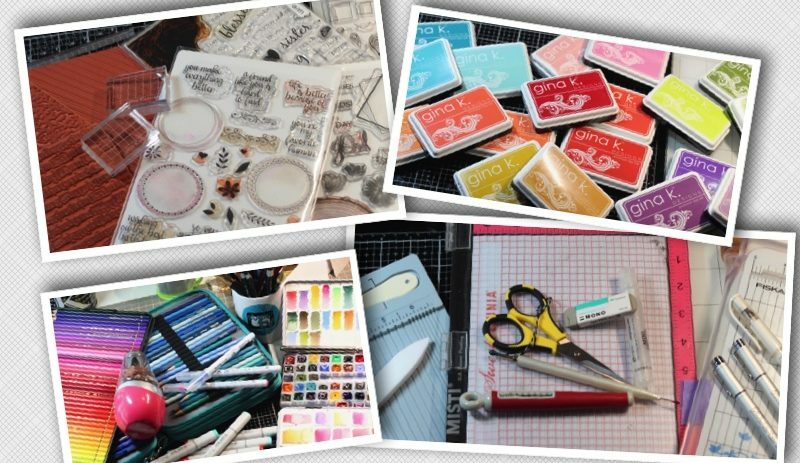 First up is Crafty Notes: By Gina K. Designs So many card ideas for crafty friends with this set! Next Up We have Cake Toppers: By: Emily Loggans This set is great to celebrate several great occasions! Are you ready for more inspiration! Next up is Melanie Muenchinger. I can’t wait to see what she has create! Karen Hightower > You Are Here! Gina K. Designs February Monthly Mix Challenge! Awesome, Awesome and Awesome cards. Crafty Notes and Cake topper are a “must have” and you did so well with these inspiring cards. Love the cards and all the new releases. Fabulous cards! I’m sold! Gotta have that Cake Topper set. I love how you personalized it with the date. Your cards are amazing, love how you used the twine! wonderful card designs and colors. Lovely cards! Thanks for sharing! Great cards – really love the birthday card especially! Such wonderful cards! Love the crafting card. Karen – Your cards are beautiful! I love your color selection. Thanks for the inspiration!! I loved your cards! The Crafty Notes one blew me away – how adorable! Your card for Cake Toppers was awesome – the colors and the treatment of the layers were great! Thanks for sharing! Love your ideas for these sets. Love the layout and colors on your birthday card! Great new products! Great projects! I especially love your water color palate card! You are always so inspiring! Love your cards Karen! Tfs! Wow! Gorgeous set of cards!!! Wow! I love these cards. Great ideas here. Nicely done! Love your cards and the new releases. So many different ways to use them as showcased in the Giveaway. What bright and beautiful cards! I really like your birthday card. Love these stamp sets! Love the globe base in gold. Beautiful cards! My favorite was your watercolor birthday card. So delightful!